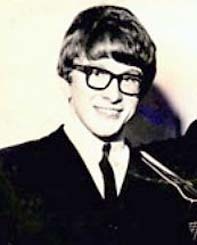 Peter Asher became popular in the mid-sixties as half of the duo Peter and Gordon, who were responsible for creating such radio-friendly ditties as World Without Love, in addition to resucitating material by 50's performers (Buddy Holly's True Love Ways, Del Shannon's I Go to Pieces). After the pair went their separate ways in 1968, Peter went on to head the A&R department at The Beatles' Apple label. He has since remained active as a producer, winning a production grammy in 1989 for Linda Ronstadt's Cry Like a Rainstorm, Howl like the Wind, and is serving as vice president of Sony USA.